Approximately 12 years ago, my wife and I were in Ithaca, NY and had the pleasure of spending a night at the Rose Inn. In a matter of days, the two mugs we purchased became my favorite [handmade coffee mugs] of all time. Unfortunately, one of them was broken beyond recognition. I know that’s hard to believe since they are so sturdy. Later, the handle was broken on the other one. When I tried to contact the Rose Inn for replacements, I learned that a terrible fire had virtually destroyed that historic inn. A couple of years later, we found out that the inn had been rebuilt and reopened by new owners. 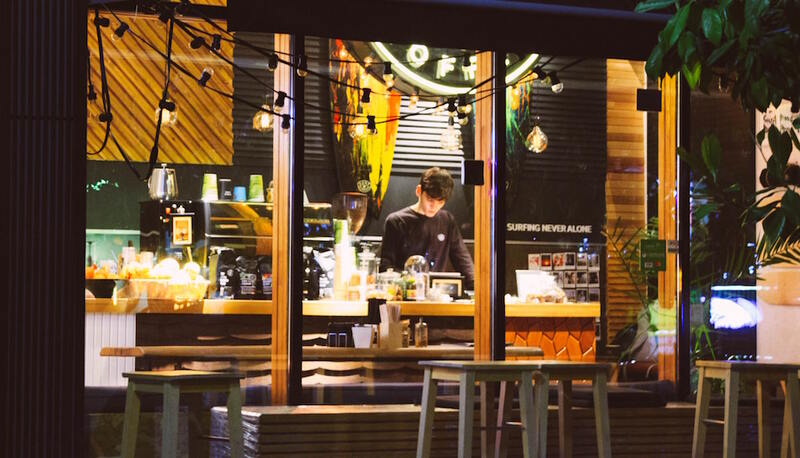 I contacted them, but to my disappointment they did not preserve the “mug tradition.” A couple of weeks ago, I was with a friend who was sipping coffee from a [handmade mug] with the identical shape but a different color. She gave me the contact information for the Taylor House Inn in Valle Crucis, NC. Their website included an on-line catalog where I saw the same shaped mug in red. I was ecstatic and immediately placed an order for two of them. To my chagrin, they sent me an e-mail stating that their stock was depleted, and that they did not know when to expect more. The innkeepers (Tessa and Bernard Russo) were very kind to provide contact information for your company. 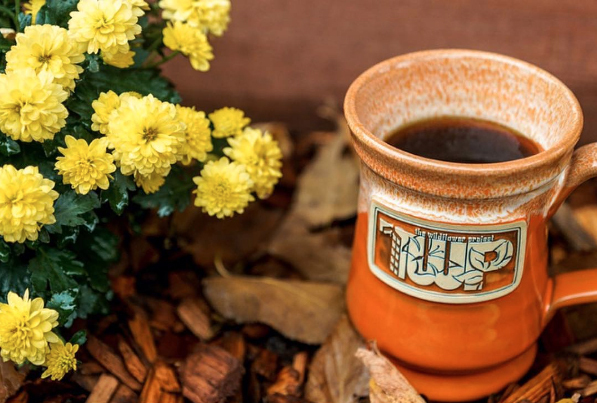 After navigating your website, I now realize that my favorite mugs from the Rose Inn were made by [Deneen Pottery] and were of the “round belly” style. In fact, when I clicked on “glaze and colors,” and then clicked on “greens,” I see the forest green round belly mug WITH THE ROSE INN ART. I know you are a distributor and don’t normally assist with small quantities. But, I thought I would inquire anyway. Do you know how I might obtain a small quantity ( from 2 to 8 ) round belly mugs? Are you aware of an inn that has a well stocked gift shop? Is there anyway I can order a small number directly from Deneen? You don’t know how hard I have been trying to replace the broken mugs. Thanks in advance for your assistance. Thank you for taking the time to write to us. I remembering hearing about that fire at the Rose Inn years ago, what a terrible loss that was. Your tenacity at hunting down the round belly mug is commendable! 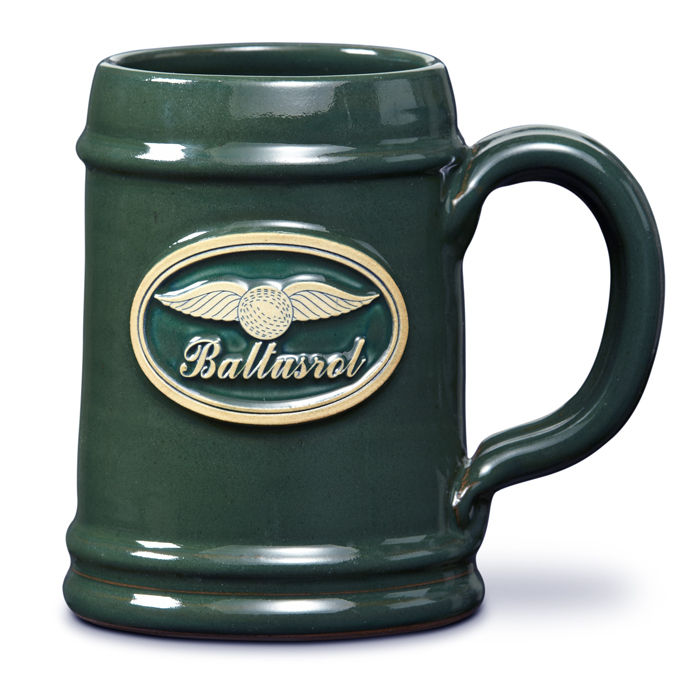 I think you like reading this… We do sell mugs directly to customers – and we can make them for you without medallions! 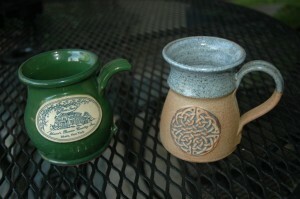 The retail cost is $15.00 per mug plus ($10 for shipping up to 4 mugs) or ($15 when shipping 8 mugs). For 4 mugs you can have one color choice, but for 8 you can have two (4 per color choice). Just let me know the total number and color and we’ll get your favorite HANDmade mugs back into your HANDS ASAP! This is great news. I’m sure we will be ordering some mugs, but I need to get my wife’s input before selecting the color. Feel free to use my story on your blog. Maybe it will help someone else who’s had a similar mug misfortune. You will be hearing from me soon about the quantity and color. Similar Styles... But not the same!